Gelato is gelato and ice cream is a totally different thing: it is easy to fall in the trap of thinking that actually one is the synonym of the other but in all truth they are two different things. With the arrival of summer we all experience an uncontrollable desire for something cold and sweet yet not too fattening so gelato and/or ice cream immediately come to mind. Refreshing and thirst quenching they are ideal to fight against the humid heat of the city and the scorching sun of the beach. 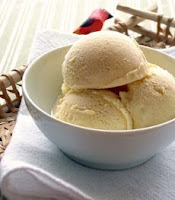 Gelato is made with fresh and genuine ingredients, it is lighter because it contains less butter fat and less air. Its main ingredients are fresh milk and egg yolks mixed with sugar and cream. We already said that the ingredients used are of top quality but what is even more important is that who makes gelato takes into serious consideration the correct balance of all the solid components of the various ingredients. The right balance is what makes gelato softer and creamier. These solid components are stabilizers of the emulsion water-fat, binding thickeners of water and the skim solids of milk. Ice cream is made with different ingredients: powdered milk, fruit juice concentrate, and additives such as coloring agents, sweeteners, emulsifiers, stabilizers and aromas. Ice cream is made in large batches and kept frozen for long periods of time while gelato is made daily in small batches with fresh ingredients. Indeed if it is frozen for too long it looses its silkiness. Gelato's density requires a slightly higher serving temperature, the perfect point between firm and hard, soft but not melting. Ice cream instead can be stored at arctic temperatures. It is produced several months in advance thanks to air – it increases its volume. More air makes for a lighter ice cream, less air makes it richer and creamier.Here are a few basic rules to figure out the quality of the gelato or ice cream you are about to eat. If it is a high quality cream ice cream (meaning chocolate, hazelnut, stracciatella) it should not be too liquid nor too thick, the creamier it is the less noticeable the ice clusters are. If the ice cream is flaky or wrinkly it is likely that something went wrong during the process of preservation. If either one is too sweet it could be hard to digest. The cause could be the excessive presence of sugar or vegetable fats that have a higher fusion point as compared to animal fats. Colors tell a lot too: if they are too bright (i.e. almost fluorescent green for pistachio) it means that the ingredients used were not 100% natural but were enhanced by chemical components. This is even more evident in fruit gelatos: the color should be similar to the color of the fresh fruit itself. If there are pieces of fresh fruit that is a sign of quality too. Last but not least, if the gelato does not melt quickly, especially if it extremely hot outside, it means that it contains hydrogenated vegetable fats... simply avoid it! There also are sorbets. These simple refreshments are all about fruit, sugar and lemon juice with no addition of milk, cream or eggs. The secret is to use fresh fruitas the ones made with cooked fruit taste like cold jam. Sorbets are generally eaten at the end of a meal to cleanse the palate, but they can also be a lightest choice for a hot day.